Residential property sales in Greater Vancouver totaled 2,827 in December 2015, an increase of 33.6 per cent from the 2,116 sales recorded in December 2014 and a 19.8 per cent decline compared to November 2015 when 3,524 home sales occurred. 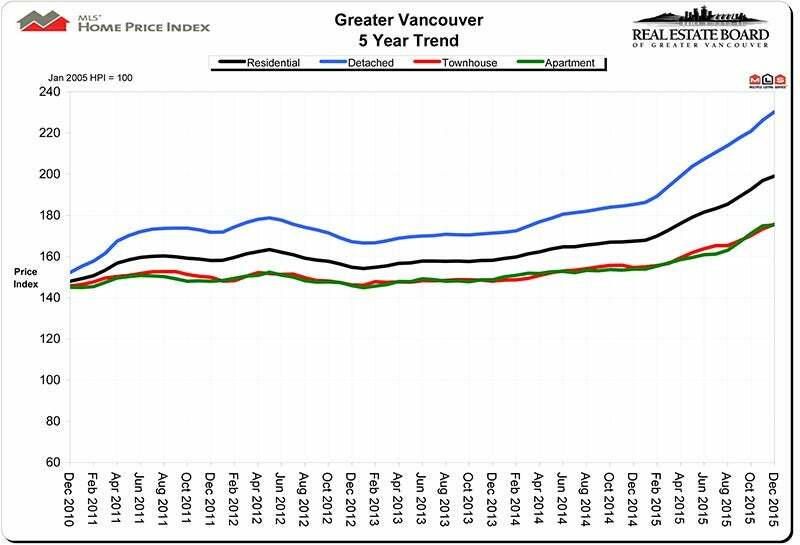 New listings for detached, attached and apartment properties in Greater Vancouver totaled 2,021 in December 2015. This represents a 7 per cent increase compared to the 1,888 units listed in December 2014 and a 40.4 per cent decline compared to November 2015 when 3,392 properties were listed. Attached property sales in December 2015 totaled 466, an increase of 25.6 per cent compared to the 371 sales in December 2014. 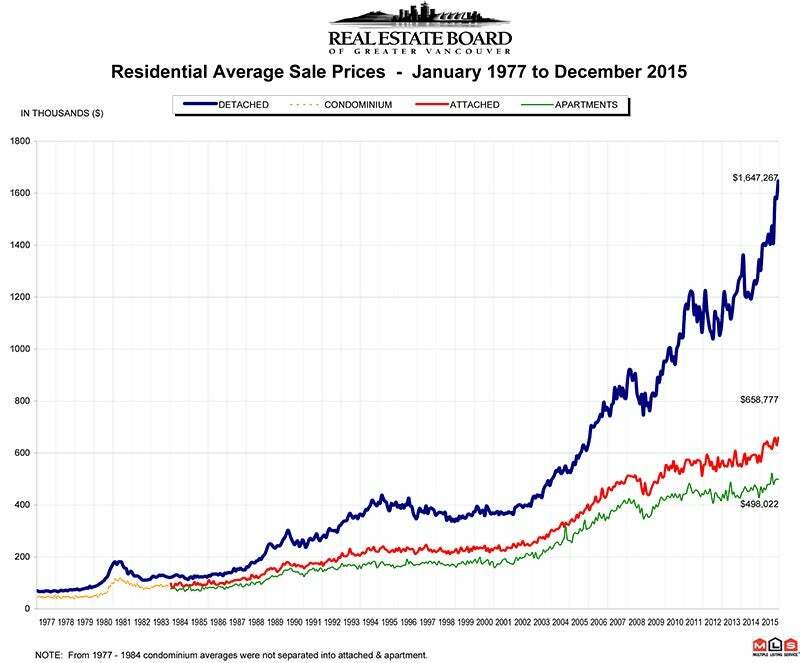 The benchmark price of an attached unit increased 13.6 per cent from December 2014 to $543,700.